The weight loss secret is in the chain - the chain of molecules that make up the fat of coconut oil. 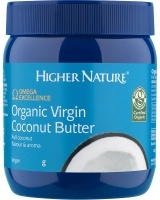 These shorter chain fatty acids in coconut oil are known as medium chain triglycerides (MCTs). They burn up quickly in the body. They're a lot like adding kindling to a fire, rather than a big damp log. That's the secret to coconut oil's weight loss success!